So...recently I bought myself a mint satchel from Target for only $10!! It was on clearance and the color was calling my name!! It is small, but it has forced me to keep my purse with the essentials. 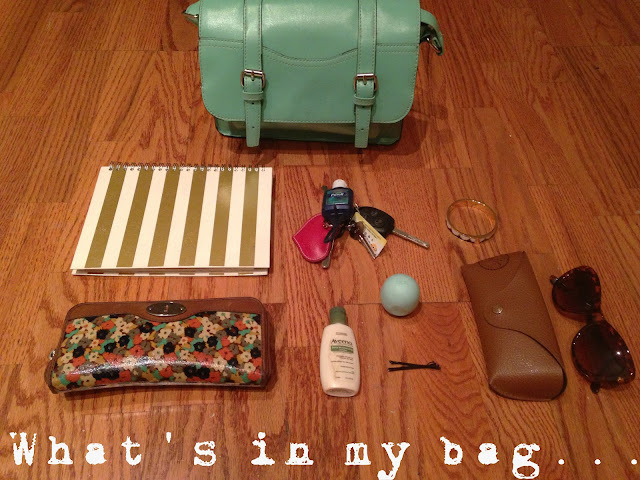 I hope my bag can stay this simplified. Also, I forgot to add my phone...oops! We all know what an Iphone looks like anyway! Is your bag always this simplified? If so, how do you do it?? This feels nice, but I'm afraid it may not last for too long! Will keep you posted!